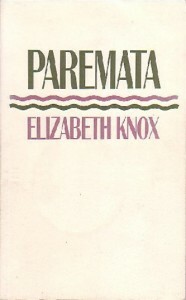 Paremata summons up with diamond-bright particularity of detail a place, the coastal suburb north of Wellington, and a time, the summer of 1969. It is a powerful and affecting story about transition, about codes being broken, sexuality, the vulnerability and toughness of the charged world of children. Around this world move the figures of the adults, sometimes shadily – as in the case of the mysterious Pavel – and always on the outside. ‘Vivid and well-judged: no fuss, no excess, the images often unexpected but right and in the right places.’ Fleur Adcock, Times Literary Supplement. All three autobiographical novellas – Pomare, Paremata and Tawa – are collected in The High Jump: A New Zealand Childhood.